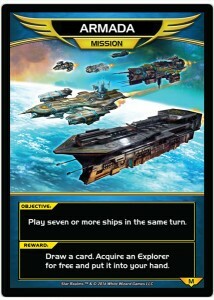 Objective: Play seven or more ships in the same turn. Reward: Draw a card. Acquire an explorer for free and put it in your hand.